We would like to draw your attention to the fact that we will collect and use the personal data you provide to us because this is necessary to conclude with you and perform a possible agreement. This applies to both our (potential) customers and to parties from which we purchase goods and/or services. If you are a (potential) customer of ours, we will use your data to be able to send you an offer, to be able to determine what specifications or wishes certain goods or services must satisfy, in order to be able to deliver goods or carry out the activities for you, in order to be able to invoice you and to be able to communicate with you quickly and efficiently concerning the implementation aspects of the agreement. If you are a (potential) supplier or another contractor, your personal data are also required for concluding and performing the agreement. In case of purchasing, this is necessary in order to be able to inform you what specifications or wishes certain goods or services should satisfy in our opinion, to be able to send a request for an offer or to place an order with you, to be able to pay your invoices and to able to communicate with you quickly and efficiently concerning other aspects of the agreement. You are not obliged to provide your personal data to us. If you do not provide personal data to us or provide us with insufficient personal data it may be the case that we will not be able to carry out the abovementioned activities. If you requested an offer from us, but you did not become a customer of ours, we will remove your data at most one year after our last contact. We will also remove your personal data at most one year after our last contact if we received an offer from you but we did not become your customer. If you did become our customer or we did become your customer, we will retain your personal data for a term of seven years after the end of the financial year in which the agreement with you was performed. The period of seven years corresponds to the period for which we are obliged to keep our records for the Tax and Customs Administration. We will remove your personal data after this period has ended. We would like to draw your attention to the fact that we will collect and use the personal data you provide to us because you have consented thereto or because this is necessary in order to look after our legitimate interests. We process the following data: name, address and contact details. If you are a business relation of ours, we will use your data to be able to contact you for purposes that are in the interest of our business. This includes for example discussion of a possible collaboration, providing and obtaining information and maintenance of our network. Personal data belonging to business relations will be removed one year after our last contact. Cookies are small text files that are placed on your computer, tablet or smartphone during the visit to our website. Information is stored in these text files that is later recognised again by the website during a subsequent visit. Our website uses tracking cookies if you have consented thereto. We do so to collect information about your internet behaviour so that we can present you with targeted offers of products or services. You have the right to withdraw your consent at any time. Your data are stored for at most one year. We also place functional cookies. We do so in order to make it easy to use our website. This includes matters such as keeping products in your shopping cart or remembering your login details during your visit. Analytical cookies allow us to see what pages are visited and what sections of our website receive clicks. We use Google Analytics for this purpose. The information collected by Google in this way is anonymised as much as possible. In connection with the performance of a possible agreement with you it may be necessary to provide your personal data to parties that supply parts, materials or products to us or who perform activities on our instructions. We furthermore make use of external server space for the storage of (parts of) our sales and purchasing records and our records of business relations. Your personal data are part of these records. Therefore your personal data are provided to the service space provider. We also use Microsoft Office and the related storage facilities for e-mails and other files. As we make use of a newsletter mailing service, your personal data are finally transferred to the provider of this service. You have the right to request to inspect your own personal data. If there is reason to do so, you may also request us to supplement your personal data or to correct inaccuracies. You also have the right to request that your personal data be deleted or that the use of your personal data be limited. You can also submit an objection to the collection and use of your personal data to us or submit a complaint to the Dutch Data Protection Authority. And finally, you have the right to request to obtain your personal data or that they are transferred to another party. In order to be able to exercise your rights, you can apply to: (Bumatrac Machinery BV, Beltrumseweg 9, 7141 VJ Groenlo, 0031 544 461949 and info@bumatrac.nl). Naturally you can contact us if you have questions or require further data concerning the collection and use of your personal data. 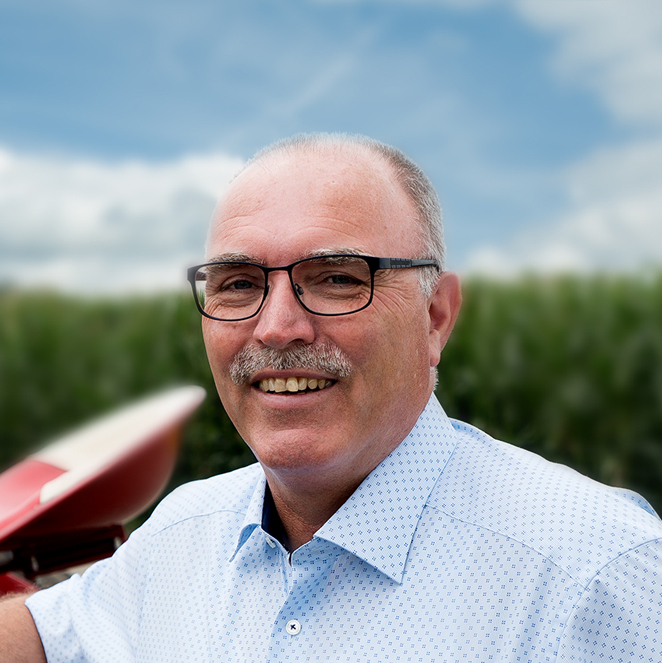 © 2019 - Bumatrac Machinery BV heeft haar website laten maken door Ebbers Media.